The HP ElitePad 900 is a business-worthy Windows 8 tablet that a consumer could love. The jackets remind us of the grand days of the HP iPAQ and its sleeves: they make the device useful in a variety of scenarios while maintaining portability and augmenting battery life. Build quality is top notch, the design is extremely attractive and the tablet is one of the lightest 10" tablets on the market, regardless of OS. 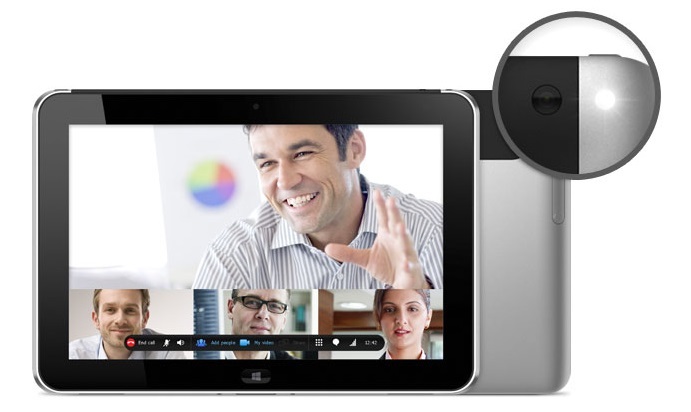 HP’s ElitePad 900 aims to catch the eyes of CIOs and IT managers looking to deploy a tablet that can be managed as easily as a PC.For the price, other tablets may offer more value and productivity. If your IT department insists on having a Windows 8 tablet, the Dell Latitude looks a better bet. If you wish to fully utilize the potential of the EiltePad 900, you have to spend more as everything else is an accessory. Be it the stylus, or the expansion jackets (the batteries for which are also an optional accessory and hence cost extra), or the dock that gives you an Ethernet port, a full-size HDMI port, VGA Out and four USB ports. Everything that makes the ElitePad 900 a great enterprise solution cost extra, in which case, you might just as well go for a Surface Pro instead. The only upside to splurging on the ElitePad 900 along with its accessories would be the fact that with this tablet, you’d get HP India’s warranty to back your purchase up whereas buying a Surface Pro from the US (as it isn’t officially available in India) wouldn’t come with an India warranty. On paper, the ElitePad 900 has almost everything we'd expect from a business tablet: pen support, security features like TPM and a dock with Ethernet and extra ports. It's offered with a wider-than-usual range of accessories, including useful goodies like a second battery and keyboard case. Not to mention, it's one of the best-looking tablets we've ever seen, and that's definitely not something we demand from enterprise tech. 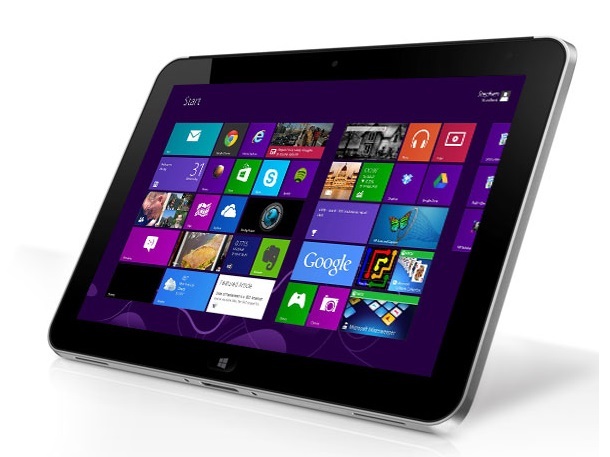 The HP ElitePad 900 is available in two variants—32GB storage with Windows 8 and 64GB storage with Windows 8 Pro. These are priced at an MRP of Rs 43,500 and Rs 49,200 respectively, which is not quite bad for an Atom-powered Windows 8 tablet with 3G SIM support. If the device had built-in USB 2.0 and HDMI ports along with a full HD display, it would have been good bang for the buck. If you have a budget of up to Rs 45,000 for a 3G tablet, then we suggest you go in for the Apple iPad (32GB with Wi-Fi and cellular support). The ElitePad 900 is a worthy consideration only if Windows 8 is a necessity for you. Overall, we approve of HP's semi-rugged approach to a business tablet, producing a device that feels solid, and the inclusion of tools such as Computrace and HP Client Security are likely to appeal to corporate buyers. However, HP's device also has fewer built-in I/O ports as standard than some rival devices, making a desktop dock or Smart Jacket almost a necessity. Potential buyers should also bear in mind that the ElitePad has relatively modest performance, in line with other tablets based on Intel's Atom platform. Coupled with the 2GB memory limit, this means that the device is fine for productivity applications but not for any significantly demanding workloads. Battery runtime was outpaced by the Dell Latitude 10, the main competitor for the business dollar amongst Atom-powered W8 tablets, but anyone wanting more than 7 hours of surfing runtime probably can’t consider themselves to be ‘working’ in any normal sense of the word, but ever so slightly careful usage will get a full day’s battery life nonetheless. And that's the dilemma, isn't it? If your business is committed to HP services and products through contracts, then the HP ElitePad 900 is a very good Windows 8 Slate tablet for the SMB though enterprise organization. However, if you're with another system builder or are starting from scratch, then our two Editors' Choices—the Dell Latitdue 10 and its Dell Latitude 10 Enhanced Security tablets—are better and more flexible choices all around. In this age of bring your own device to work, tablet makers are still feeling their way as to what makes the ideal combination of a work and play gadget. And, while the ElitePad 900 gets a lot right, HP hasn't quite perfected the mix. Among the Atom-based Windows 8 business tablets, we prefer the Lenovo ThinkPad Tablet 2, which not only offers better performance, but stylus support and longer battery life. Overall, HP seems to have developed a sturdy offering both in terms of the ElitePad's physical form and its security software bundle, but appearances can be deceptive. The Sim and micro SD card slots proved troublesome and, as I type, I'm still waiting for a call from HP regarding the latter. Also, I get the impression that manufacturers realised all too late that for tablet users running Windows 8 Pro in Desktop Mode, it's much less painful with a stylus. So it's surprising HP doesn't include one in the box. Ideally, HP should have found a way to integrate a pen into the tablet shell, Lenovo-style, but that would have messed up the Expansion Jacket design. These decisions are all about compromises and sadly for the PC industry, Windows 8 makes that all the more obvious. Positive: very good quality materials; solid construction; IPS display (vivid, warm colors, high contrast, wide viewing angle); very long battery life; docking station. Negative: lack of expansion ports on the main unit; a little too sharp edges. Positive: Light weight, nice design and high quality materials. Negative: No USB-ports; Not good performance. Positive: Lightweight; Elegant aluminum design; wide range of accessories.